Today I want to introduce you to a new sponsor - Stephanie from Scentsy. 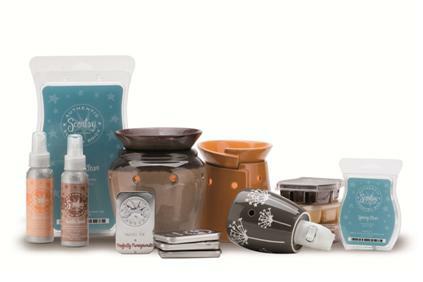 If you haven't heard of Scentsy then you're in for a treat. 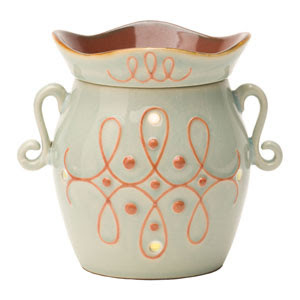 Simple put, Scentsy makes candles that are wickless, flameless, and stylish. You can pick your scent and your warmer. Here are a couple of warmers I really liked. With over 80 different scents to choose from, you're sure to find several you enjoy!! 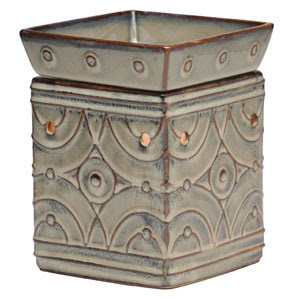 There are 30+ warmers you can use to melt your Scentsy bars while having a beautiful decoration for your house at the same time! This is why I love selling Scentsy!! They are great and smell your entire house. 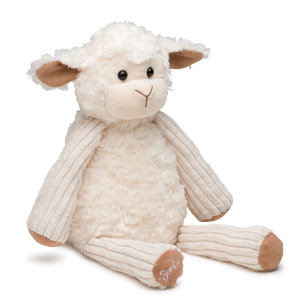 They have came out with some new stuff this fall...they have new warmers and have scentsy buddies (which are lion, pig, monkey, elephant, frog, lamb) and these are stuffed animals that have a scent pack that you can put in them and they smell your childs room and are very soft and they came out with some hand foam sanitizer. We have from big size warmers, medium size, to plug ins, room sprays, travel tins, car airfreshner, and they have great scents. These makes perfect gifts!! Here's one of the Scentsy buddies she mentioned. I think this would make a great baby shower present. So, head on over to Scentsy and check it out. You'll be sent directly to Stephanie's page where you can shop and you'll have her contact info there (e-mail address and phone number) if you have any questions. She also has a button in the sidebar here so you won't lose her link. I am for sure a scentsy addict, there are so many different varieties, but scentsy really is the best! That scentsy buddy is adorable! I will definitely look into that next time I need a baby shower gift...too cute! I am a recent Scentsy user and I LOVE it! I love it so much I did something that is very unlike me and I Christmas shopped before the very last minute and got one for my MIL. They are awesome!